Blue Sky BuildersSkywriters Garage BlogGaragesAre You Considering a Garage Expansion? 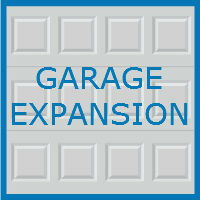 Are You Considering a Garage Expansion? Whether you are looking to house your in-laws, store an extra vehicle, or add a home office to your property, a garage expansion is a great option to consider. Increasing the size of your garage can be done in a number of ways, and the garage specialists at Blue Sky builders can help you explore the possibilities. An expansion can be done quickly, cost effectively, and can help add value to your home as well as functionality. When deciding whether to expand your existing garage or not, here are few things to consider. What Is the Purpose of Your Expansion? The first step in the garage expansion process is determining what the extra square footage will be used for. Are you looking to add living space to your home? Do you need extra storage? Or maybe you are considering adding a workshop to your home? Determine what the extra space will be used for, and go from there. If extra living space is your goal, consider a FROG, which stands for a finished room over garage. This additional space could be used as a home gym, office, or extra space for guests. Or go a step further, and add a separate apartment above your garage. A new apartment above your garage could be used to accommodate guests, parents and grandparents, or independent teenagers and young adults. Looking for some extra income, or a way to offset the costs of your expansion? Consider adding a separate entrance to the apartment and rent the unit. If more square footage for storage is needed, maybe for an extra vehicle, consider expanding outwards. If you have yard space available, you could knock out an exterior wall of your garage and expand. This expansion could accommodate new vehicles, or allow space for a workshop or home gym. When considering expanding outwards, try to plan for the future. Is your family growing? Might you need more room in the future? 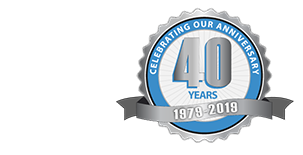 A garage specialist can help you map out your expansion so it can continue to meet your needs for years to come. Depending on the purpose of your expansion, you may need to rework some of the plumbing and electrical wiring in your garage, or have new work done. Adding a laundry room? Remember to factor in the plumbing when mapping out your expansion? Adding a workstation? Maybe some rewiring would be beneficial to allow for plenty of outlets where you need them. A garage professional can review your project with you to ensure your expansion will fit your needs. Is Starting Fresh a Better Option? If you are working with an older garage in need of repairs, it may be cheaper to demolish the structure and start fresh. A garage specialist can inspect your property and help you determine if expansion is a good option, or if a new garage may better suit your needs. Building a new garage gives you creative control over the aesthetic and functionality of the space. Most communities have some type of regulation governing home and garage expansion. Both new construction and additions to existing properties must meet local, state, and national safety regulations. For example, in Downers Grove, home and garage additions require an approved building permit. Allow yourself time to complete the application process. Downers Grove officials say permits typically take 10 days to review, and the costs of the process depend on the type of expansion you are undertaking. Depending on your project, property inspections may be needed. On a side note, remember to keep your neighbors in mind. If your expansion is going to be lengthy or noisy, consider notifying your neighbors in advance. Most of us do not possess the skills or knowledge to complete a garage expansion successfully on our own. Injuries do happen, and it is also possible to mess up the expansion and have to redo your work. Instead of attempting the project on your own, call us at Blue Sky Builders. We have years of experience with garage expansions, remodels, repairs, and construction, and are happy to assist you with your project. Check out some of our best work in our gallery, and call 630-852-8485 today to get started.